Rank: They're the alpha pair. Personality: Yang, the male, represents light and strength. Yin, the female, represents darkness and weakness. 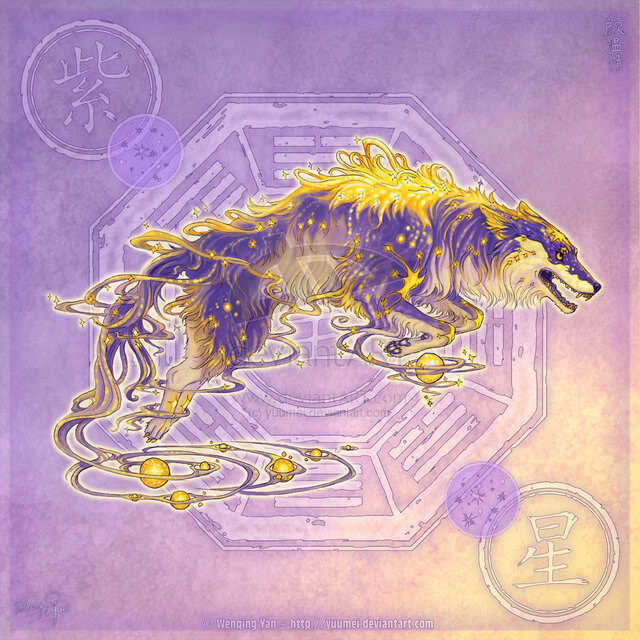 Rank: In the celestial pack, he and his littermates are like a group of betas. Personality: normally he's really calm and cool (like the awesome cool). But his anger can spark in an insant and then you can't stop him :'D usually only his sister Mizu can calm him down. History: what he does. He can control the element of fire in all its forms (he can make lightning too). According to legend, he took one of his eyes out and it became the sun. Then he appointed Sontsa, his nephew, to watch and guide the sun into and out of the day. Rank: In the celestial pack, she and her littermates are like a group of betas. Personality: very kind and accepting. She rarely gets angry but when she does, she unleashes a wrath rivaling even that of the fire god, Tulekahju's. History: what she does. 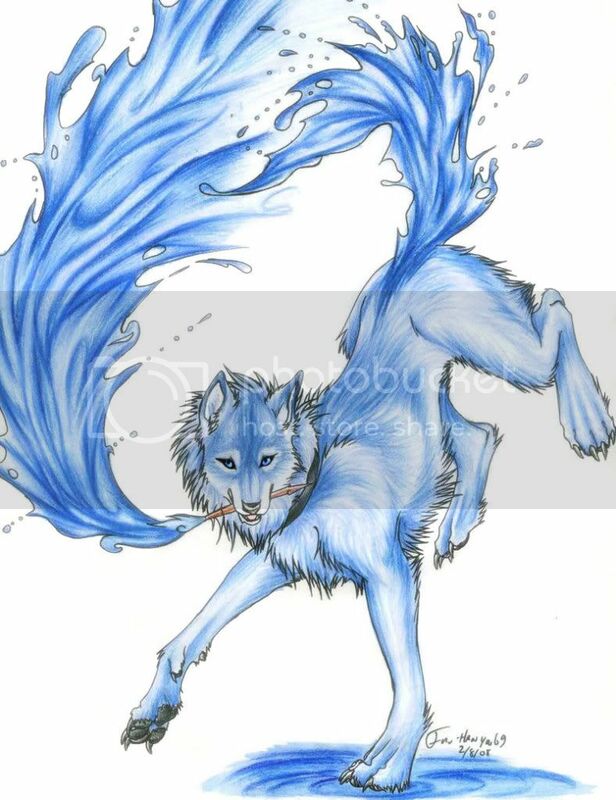 She can control the element of water in all its forms. Legends say that she is the one that brings rain to the world. She gave her eye, like Tulekahju, to be the moon. Her daughter, Tsuki is its gaurdian like Sontsa is to the sun. Personality: He tries to avoid violence and rage at all costs. He's so zen and calm and stuff all the time that it seems like he shows no emotion at all. But he's really actually very caring and kind. History: what he does. He can control the element of earth (plants, rocks, etc.,) I'll write some legend or something about him later. Rank: In the celestial pack, her and her littermates are like a group of betas. Personality: Ventus is as the wind, she is calm and steady, and a little self-righteous. She decides the times heavy currents flow through the air, and when windstorms rule supreme. It's hard to anger her, but like all the Gods, when she's ticked, she'll show it. Rank: She and her three season siblings are betas along with the Elements. Personality: Hazumi is one of the two nicest in the litter of Season Gods. She loves pups and new-born animals, and every season she refills the trees and lets the rivers run clean with fresh water. Rank: Beta, along with her siblings and the Elements. Personality: Natsu has a fiery personality. She can be fierce and mean to all living creatures on the earthly world, causing drought and killing animals for reasons unknown. Other times, she can be kind and make the world plentiful and life will flourish. It all depends upon her mood. Personality: Aki is like his sister, Hazumi. 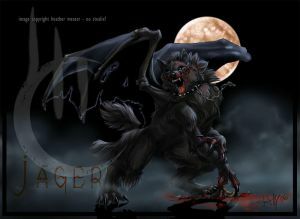 He is nice, kind and caring to the earthly wolves and all it's inhabitants. He makes the world plentiful so that the animals may prepare for the season to come. He makes the air have a slight chill, just to warn them of Uxinta's arrival. 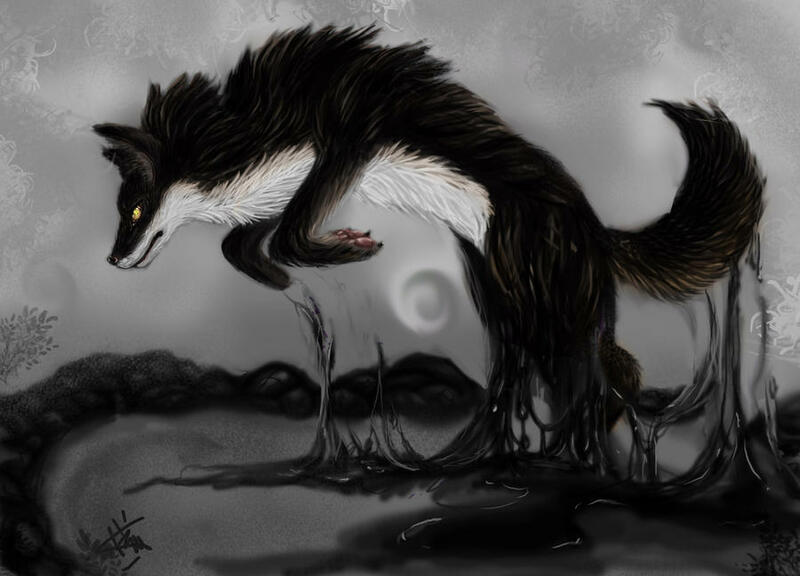 History: He is the Wolf God of Fall. Rank: Beta, along with his siblings and the Elements. 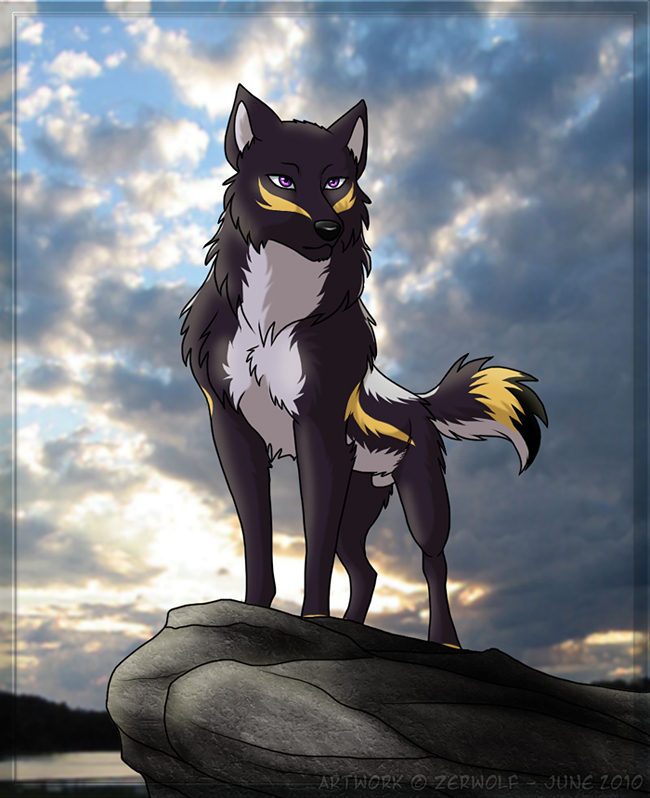 Personality: Unxinta is the harshest of all the season wolves. He keeps his season the coldest possible, rarely letting any warmth find the animals below. He believes what he's doing is right since he believes in survival of the fittest. 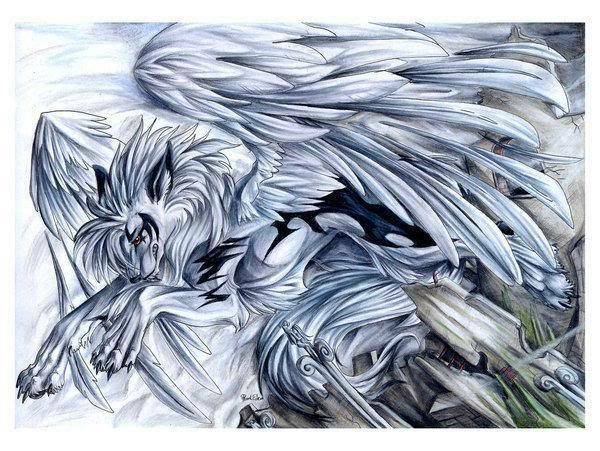 History: He is the Wolf God Of Winter. Names: Sontsa, Tsuki, and Tamno. Collectively, the Skykeepers. 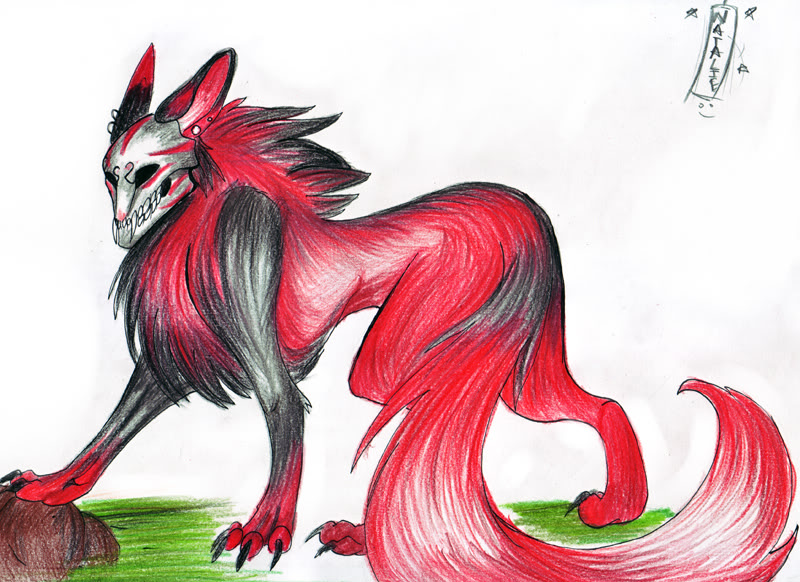 Genders: Sontsa and Tamno are male, Tsuki is female. 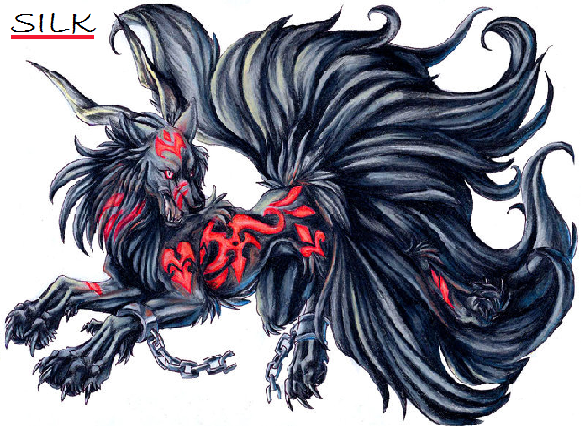 Ranks: among the other gods and stuff, they hold a rank not unlike the deltas in a mortal wolf/dog pack. Personalities: Sontsa- very reckless and hot-headed, easy to anger. But he has a soft and caring side. 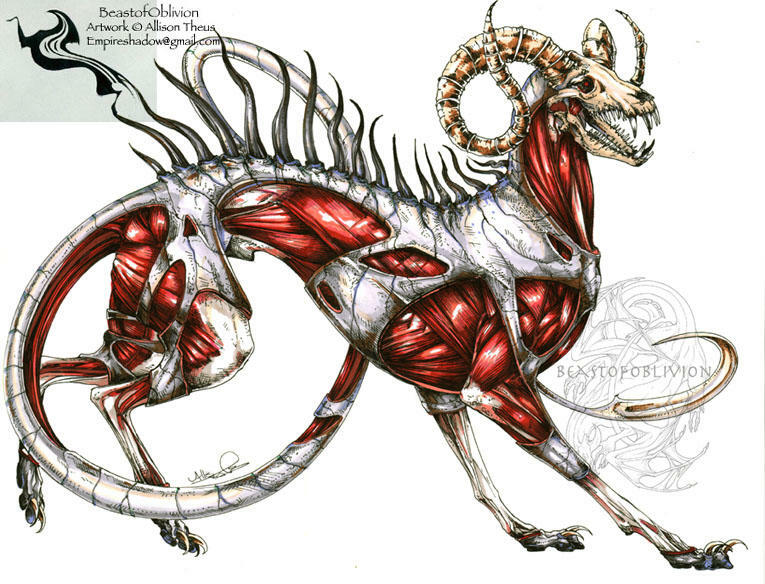 By the way, imagine him with back legs. Tsuki- gentle and smart. Tsuki has a strong sense of right and wrong. Tamno- he's very introverted and anti-social. His wisdom, though, surpasses that of the oldest wolf. History: Not really history, but what they do as gods. 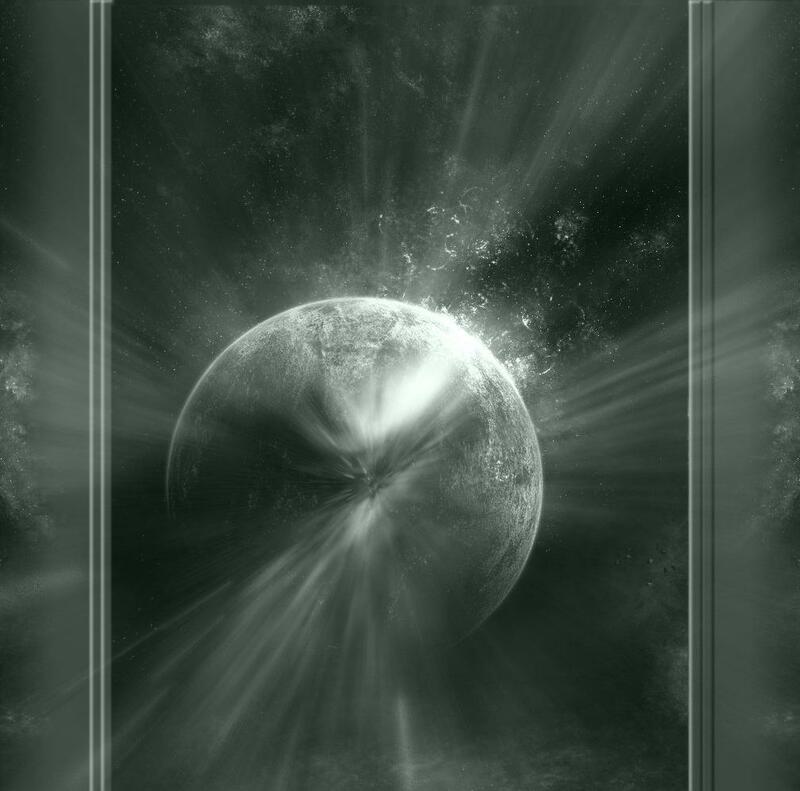 Sontsa brings the sun and lights the sky during the day, eventually giving way to Tsuki and Tamno, who share the night, bringing the moon and dark sky. Rank: They're like the shaman/healers. The alphas go to them often for advice. Personality: He is a bitter soul, not really knowing the meaning of love, and thus can seem unkind and brutal. Personality: Leon has always be calm and wise. He acts very friendly and is easy to be friends with. When he energetic and happy you can see his eyes glow blue and lightning spark around him. When he's mad his eyes glow red and dark energy circles around him. History: Most of his history is mystery like many gods. He always carries his sword on his back and in combat he carries it with his tail or in his mouth. He's the son of Mizu, Goddess of Rain, and brings about lightning at his own will. Fit and lithe, this she-wolf was meant for speed and accuracy. She can fly with absolutely no thrust needed, her strong wings capable of taking off whenever necessary. Though she seems harmless, she is a force to be reckoned with. When she feels strong urges of emotion, her fur gives off purple splashes along her body. Personality: Naturally, as the God of Love, Koi would rather try and settle out her problems than fight them off. But in the name of love, she'd easily cast out a paw full of pain. She promotes wolf instinct during the mating season and helps couples find their way to each other. Any member that has been active over a week is entitled to try out for a God. All that is required is an audition of the wolf god you wish for. 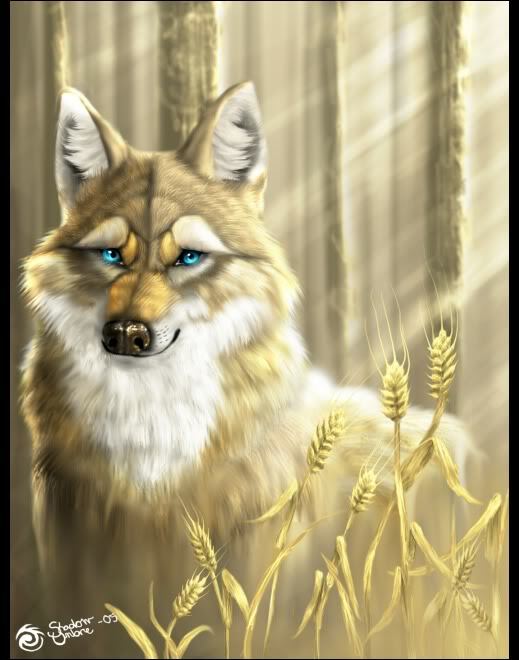 If it has not been taken, and we (the admins) feel it is correct with the personality of the requested, you will receive RPing rights over the chosen wolf. 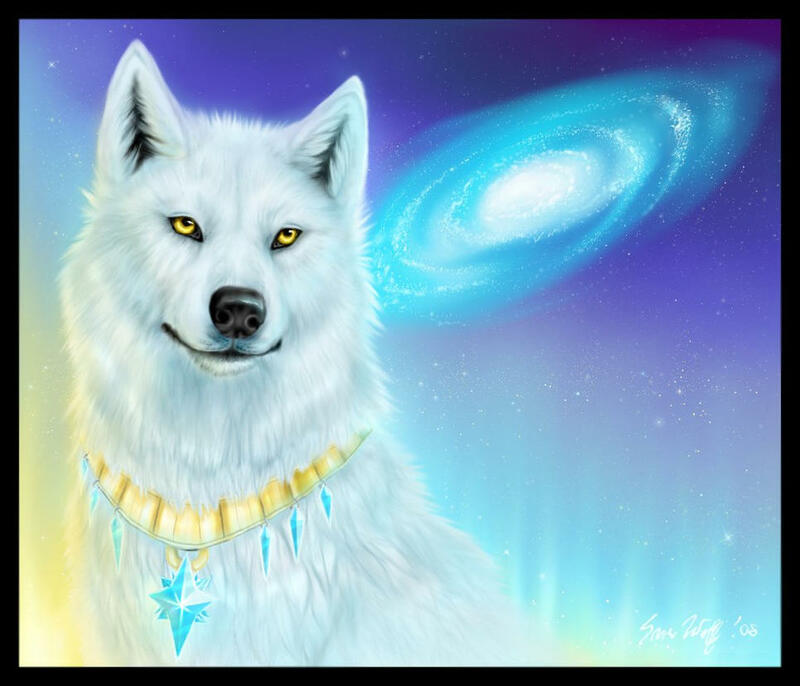 If you receive any sort of warning, and we (the admins) decide that your actions were severe enough, we will take away your RPing rights and you will cease to have your wolf god. If you persist in your trouble-making, your privilege to try out for a wolf god will be taken away permanently. This punishment is not taken lightly and will be discussed between all the Admins, not just an action done on impulse. We will give you the respect and rights you deserve as long as you remain respectful towards the other members on this site. Fill out this form, by copy and pasting it onto your post, and putting it on this topic. You will be accepted or denied, patience is key. Name of God: Who is the God you want? Experience: So, how long have you been rping on sites? How Long Have You Been With Us? : When did you join? Audition Post: At least three good paragraphs. Make it good, and make sure you have your muse. The Minor Gods are not very important. They seldom make appearances, and are regarded as a bunch of Omegas and Subordinates. Many are not actually part of the Celestial Pack. Anyone who has posted at least once IC (and has had a character approved) can request to create a minor God. If you adopt a minor God, ask what aspects you may change. When adopting, use the same form, filling out requirements for the God you want. Do not give an image if adopting. You can have up to five Minor Gods. Kite, God of revenge and souls. The Grim Reaper of the canine world. Earthly form Godly Form Wolvine. Mizu walked the world at her paws. Water dripped from her body. It should she was made of it. SHe watched the world with her one good eye. She had sent rain to the human world for the night. Allow spring to blossem farther. Her duaghter Tsuki must be watching it as she guards the moon. The wind was strong that night thanks to her sister the goddess of wind. THe dogs would be hideing away tonigth as not to get drenched. It was nice they had a home. She hoped the other canine's made it to saftey. She didn't want to cuase sickness. 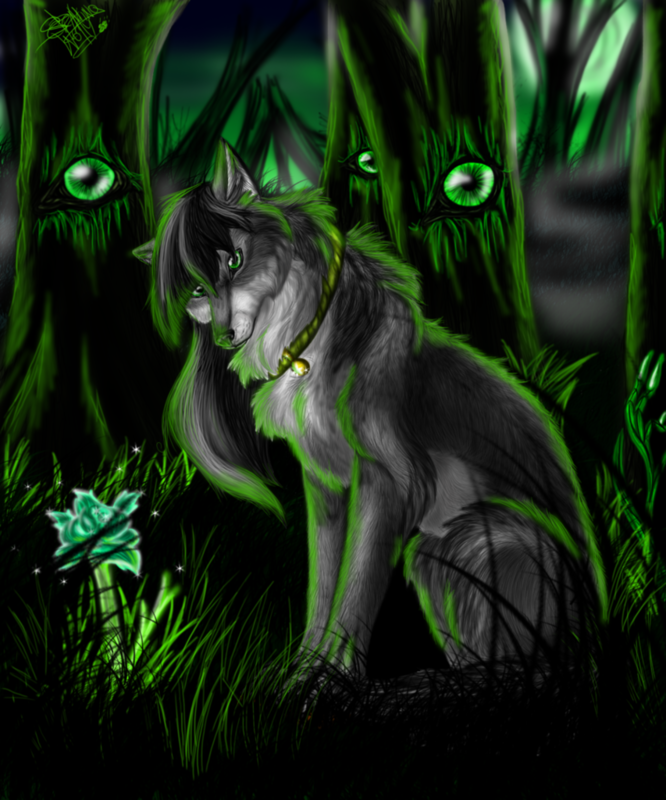 Mizu looked around the forest of the wolves below. Not a soul in site. Not that she saw. A smile graced her face. It was a beatiful night. THe wind shook the trees and howled. Her brother made lighting. Mizu knew this was normal. It was a thunder storm. So lighting lit up the world as thunder crashed. Poor pups they must be frightned, she tought. THere mothers would keep them safe, this gave her peace of mind. :3 I are glad you think so. This is how I spend my days. Looking for random images. what if it was the god of deer herd migrations? He/she directs the herds into wolf territory. Sorry, but that's more like a water form. 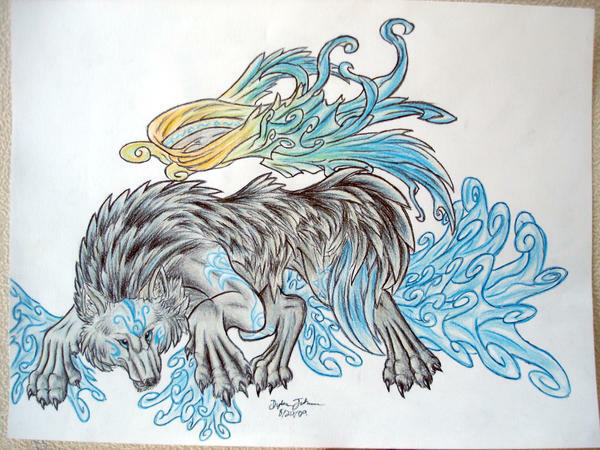 It wouldn't look bad as a other time form, but we need an ice wolf. I'll start looking. um okay that works to...so its like a spring pic? or fall? Yeah. In Fall and nearing the end of Winter I guess.